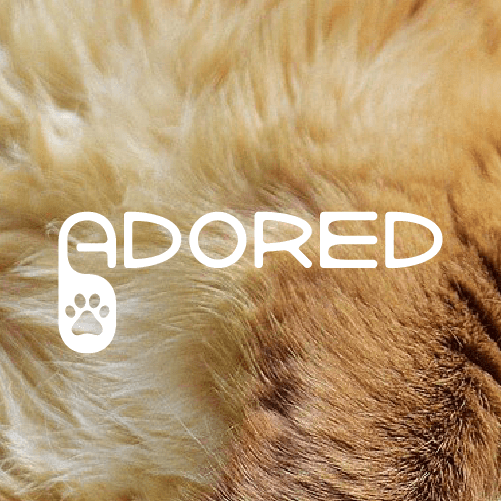 Adored is another fictional company to polish my design / development skills. 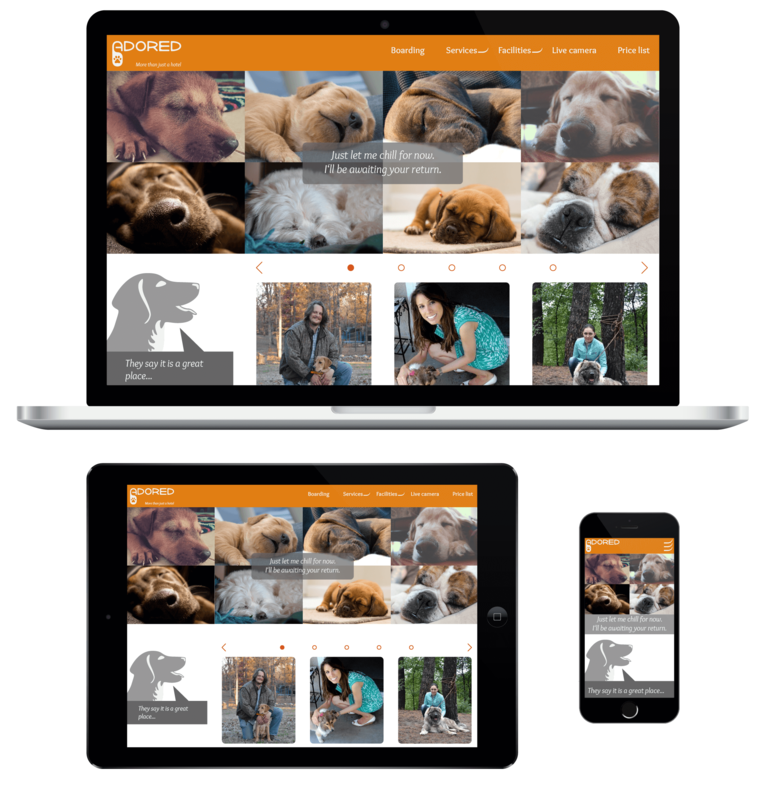 The website encompasses everything a dog owner needs when going away from home for a few days. It’s design is made to be good-looking but efficient and the website itself is ideal for clients who are not so experienced in Web development, as the site is made in WordPress and every part (literally) is editable through widgets or WP Customization UI. Provide your dog with care and luxury while you are away. The whole website and logo are created in the best possible way to convey meaning of this brand, to be easy to understand and manipulate and to generate high revenue. Every time I design, I research the whole area of industry and accustom my mind to create a design suitable for the specific goal. I follow most conventional ways of designing, such as sketching, mockups, testing, use of grids, color scheme rules and many other, though leaving out some that are of no use to particular problem, making the process as effficient and as fast as possible. Front page is basically a giant guidepost, as it mostly should be, using a lot of images, making sure the user sees this website is truly about real-world activity. Individual pages then use mostly graphics, ensuring swift orientation and use of all the elements. Thanks a lot to the authors. (and one preloader), each of them slightly advanced or different then the previous one. The use of Canvas element is fairly infinite and unlike Flash files, the Canvas is fully supported in all browsers/mobiles and offering better performance and even flexibility. Whizz, as a fictional company, is another one of my projects aimed to improve my professional skills. a meaningful and safe rafting trip. The whole brand/website is built from ground up, without use of any templates nor anything similar. My designs aim to look good but be efficient, thus not sacrificing ease of use for the sake of originality. Plan your rafting trip from top to bottom. College project for real client, TV OST. Teams of three-four people were supposed to make an online website with everything that needed to be done. Startsiden is already working website, which helps many Danish people to get around internet quickly, but it is a bit old and some things might have not been completely appropriate, so we redesigned it. 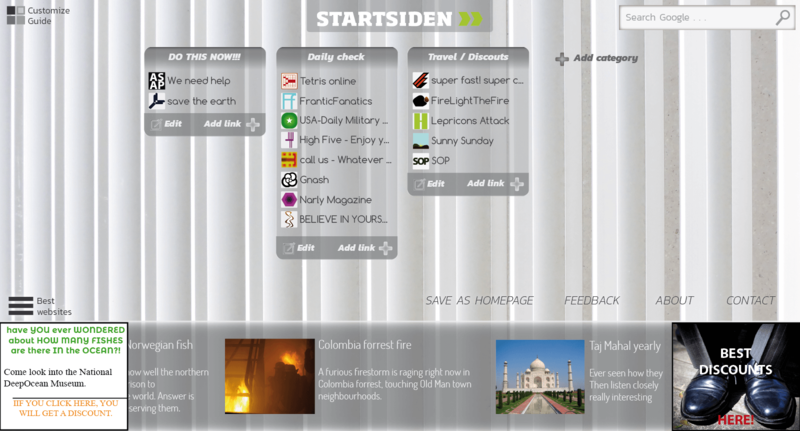 The idea of our new Startsiden is mainly for user to be comfortable, by making Startsiden comfortable themselves. More then half of the website would be editable, colors, templates, backgrounds, texts, user would be able to create their own categories and name them, maybe even change favicons etc. etc. While others did each of their part, my job was the whole design, as you will see here. As an internship during study in ZIBAT college, I’ve made an entire redesign for Danish company situated in Odense, the Globalturn. As an internship during study in ZIBAT college, I’ve made an entire webdesign for Danish company situated in Odense, the ItShift. I have made a mockups for fully working website, which would serve the best radios from all around the world. The website is not described precisely, as to what should do what etc.. The main concept of this is overall design and idea.